LAUNCESTON, Australia (March 7): A decision by Saudi Aramco to cut the price of its benchmark Arab Light crude to Asian refiners for April-delivery cargoes has prompted speculation that the world's top oil exporter is chasing market share. There is always a risk in over-interpreting moves in Aramco's official selling prices (OSPs), and trying to fit them into a narrative that supports a particular view of the state of the market. Perhaps a better approach is to look at whether the move in the OSP goes beyond what might be justified by changes in the market structure for crude oil in Asia, the region that buys about two-thirds of Saudi oil. First, the facts. Aramco cut the OSP for Arab Light for Asia to a discount of 15 US cents a barrel over the Oman-Dubai benchmark for April cargoes from a premium of 15 US cents the prior month. The effective 30 US cents a barrel reduction came against a backdrop of a weakening premium for Dubai crude over global benchmark Brent and softer margins for key oil products in Asia, such as gasoline, naphtha and to a lesser extent, diesel. The Brent-Dubai exchange for swaps, a measure of the premium of Brent over the Middle East grade, dropped to US$1.08 a barrel on Feb 28, the lowest in 18 months. The profit of making a barrel of gasoline in Singapore, known as the crack, has almost halved in just under a month, dropping to US$7.30 a barrel on Monday, down from a recent peak of US$13.16 on Feb 2. The same measure for gasoil, the base product for diesel, was at US$11.66 a barrel on Monday, down from US$12.66 on Feb 23. The narrowing of the Brent-Dubai premium and lower refinery margins was always going to make it likely that Aramco would cut the OSP for Arab Light for Asian refiners. The question is whether the cut is big enough to justify claims that the Saudis are taking the view that they need to offer deeper discounts in order to maintain market share. This question doesn't have a definitive answer, but past evidence suggests that the lowering of the OSP is largely in line with the underlying market structure, and therefore doesn't show any untoward concern about market share on the part of Aramco. When the Brent-Dubai premium was last around current levels in mid-2015, the Saudis responded by cutting the OSPs, with the Arab Light OSP going from a premium of 40 US cents a barrel for September 2015 to a discount of US$1.60 by November of that year. Of course, this was at a time when the Saudis were actively engaged in a battle for market share in Asia with other Middle East producers such as Iran and Iraq, as well with Russia and Atlantic Basin countries such as Angola. With the decision by OPEC and its allies, including Russia, to reduce output for the first six months of 2017, in theory the Saudis shouldn't be engaged in a market share war. In practice, though, no doubt they wish to maintain their share among key Asian buyers such as China and India. Hence, the reduction of the OSP for April cargoes for Arab Light should be seen as the Saudis doing just enough to hopefully maintain market share, while still meeting their commitment in terms of the November agreement to curb output. It should be borne in mind that Arab Light isn't actually a light crude like Brent, having an API gravity of around 32-33 degrees. 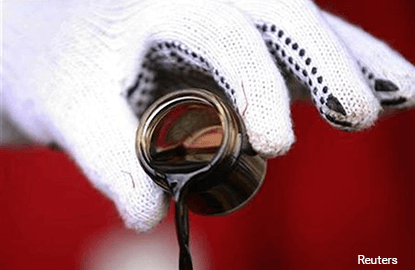 This makes it a medium crude, and considerably heavier than Brent's 38.3 degrees API gravity, although it is considerably lighter than Aramco's Arab Heavy grade, with an API gravity of 27.7 degrees. Aramco's Brent competitor is Arab Extra Light, which has an API gravity of around 39.4 degrees. The OSP for this grade for Asian buyers was cut by 75 US cents a barrel for April cargoes, to a premium of 95 US cents a barrel over Oman-Dubai. This deeper cut is likely a reflection of the higher availability of light crudes in Asia, especially from Atlantic Basin producers such as Angola and Libya. A side-effect of the cuts by OPEC and its allies has been to narrow the premium of light crudes over heavier grades, as it has largely been heavy barrels that have been taken off the market. The Saudi cuts for its lighter crudes is a response to that dynamic, and it's worth noting that Aramco kept the OSP for its Arab Heavy grade for April unchanged at a discount of US$2.60 a barrel to Oman-Dubai. What the Saudis are most likely doing is simply responding to market conditions, making their lighter grades competitive in what is a well-supplied market, but keeping prices steady for heavier crude, the market for which is now tighter than it was prior to the start of the OPEC cuts. The opinions expressed here are those of Clyde Russell, a columnist for Reuters.